Free Spring Training workouts continue through May in Dilworth Park at City Hall! On Tuesdays, Wednesdays and Thursdays, join in on a variety of sports and fitness programs, conducted by experts in the field of personal fitness. Yoga, Zumba, fitness boot camp, running- it's all here to get you informed and in shape for spring and summer. All season long, you can also fuel up with healthy offerings from the Dilworth Park Café. Spring Training is presented by Rothman Institute with partners Optimal Sport Health Clubs and City Fit Girls. Visit DilworthPark.org/springtraining/ for class schedules and more information. Take a moment to breathe, relax and quiet your mind midday while building up muscle, strength and balance with Optimal Sport instructors. Be sure to bring your own mat. Each and every Wednesday, lace-up your running shoes for a 3-5 mile trek through Center City. City Fit Girls is an all-levels running and fitness community for women and meets at Dilworth Park near the information center. Push the physical limits of your body with these total body workouts. Each week, meet up with top-notch Optimal Sport trainers who have their own high intensity approaches to whip you into shape. Zumba gets your body going with a calorie-burning dance party set to Latin and pop music hits (powered by Live Nation), led by expert instructors from Optimal Sport. Dr. Wellens from the Rothman Institute will be at the May 24 session for a stretching demo! Zumba® Fest - Dance for Peace is designed to show that Zumba® can be an outlet for love and togetherness creating "One Big Family" right in the heart of Center City Philadelphia. Zumba® is exercise in disguise, and good for one's mental and physical health, so come share the love, and dance your way to fitness. Free. AMOR sculpture, southeast corner of the park. This festival brings together cultural partners and visiting authors for a weekend of book-based fun in Sister Cities Park! Enjoy story readings by special guest readers and local authors, along with music, make-and-take crafts, face painting and balloon art. Kids can also meet Dr. Seuss' The Cat in the Hat, a K-9 unit, a police horse, and tour a real-life Philadelphia fire truck! The Free Library of Philadelphia will be on-site with the Book Bike and library card sign-ups. You're also encouraged to bring gently used books to add to the Library in the Park Book Cart presented by TD Bank. Throughout the weekend, grab lunch or snacks at the Logan Square Café. Partners include WHYY and The Free Library of Philadelphia. Click here for a complete schedule and details. 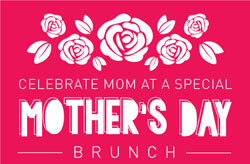 Bring the family to Logan Square Café for a special Mother's Day Brunch! Celebrate mom with a VIP meet-and-greet with your favorite super hero mom. 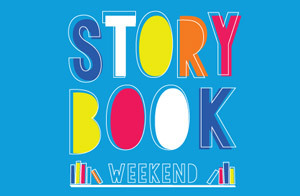 Pair it with Storybook Weekend for two fun-filled days of activites, storytelling and more throughout the park. $10.95 for children 12 and under, $18.95 for adults, free for kids one and under. (Children one year and under must have a ticket if they require a seat.) Reservations required, please click here. John F. Collins Park is a small quiet oasis off busy Chestnut Street in Center City Philadelphia. It's a relaxing spot for lunch, reading, or just enjoying a beautiful day. Through the generosity of the William Penn Foundation, the Center City District has restored the park's fountain, benches, landscaping and lighting. John F. Collins Park is owned and operated by the Center City District Foundation.